Mr Baris Ata Ozdemir trained in vascular and endovascular surgery in the London. He subsequently completed a lower limb endovascular and open aortic fellowship in Montpellier, France. He was appointed to the Bristol, Bath and Weston Vascular Network in 2019. He has a special interest in diabetic limb salvage, deep venous reconstruction, thoracic endovascular, and open aortic repair. 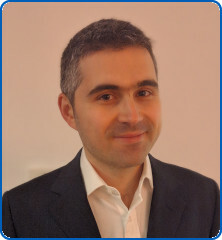 Mr Ozdemir’s PhD was on healthcare outcomes and he has also published extensively on aortic diseases and the diabetic foot. He is an honorary senior lecturer at the University of Bristol. He is a member of the British Society of Endovascular Therapy.